Nara is an ancient city located in the Kansai region of Japan’s main island of Honshu. It was the first “real” capital of Japan, remaining such for less than a century. This historic location is home to a nearly unmatched eight UNESCO World Heritage Sites, including numerous Buddhist temples. The city was founded in the year 710 C.E. and originally known as Heijo. Among its attractions are the oldest and largest wooden buildings in the world, tame deer that delight in entertaining visitors, cherry blossoms, and ninjas. Would you like to include this unique destination on your next Japanese vacation? Consider the following travel guide to help make your vacation planning a success. The JR Nara Station is serviced by the JR Nara line and Kansai Lines, as well as non-JR local lines. The non-JR lines of Kintetsu Railways utilize the Kintetsu Nara Station. However, the Kintetsu lines are not covered by the Japan Rail Pass. The two stations are located at a distance of about one kilometer from one another and within walking distance of many city attractions. When traveling from Tokyo to Nara, first take the JR Tokaido Shinkansen line to Kyoto Station. You can depart from Tokyo Station or Shinagawa Station. 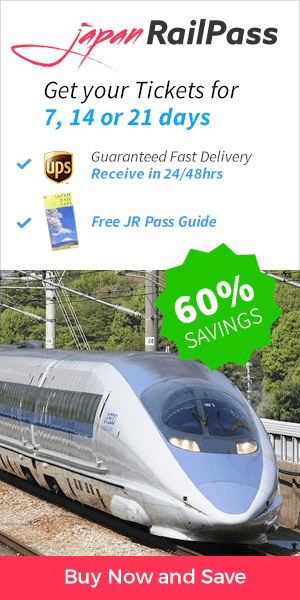 From Kyoto, take the Miyakoji Rapid Train, on the JR Nara line to JR Nara Station. Depending on the train taken from Tokyo to Kyoto, the entire trip will last between three and five hours and is covered by the JR Pass. In order to get from Kyoto to Nara, begin at Kyoto Station. Take the Miyakoji Rapid Train, on the JR Nara line to JR Nara Station. 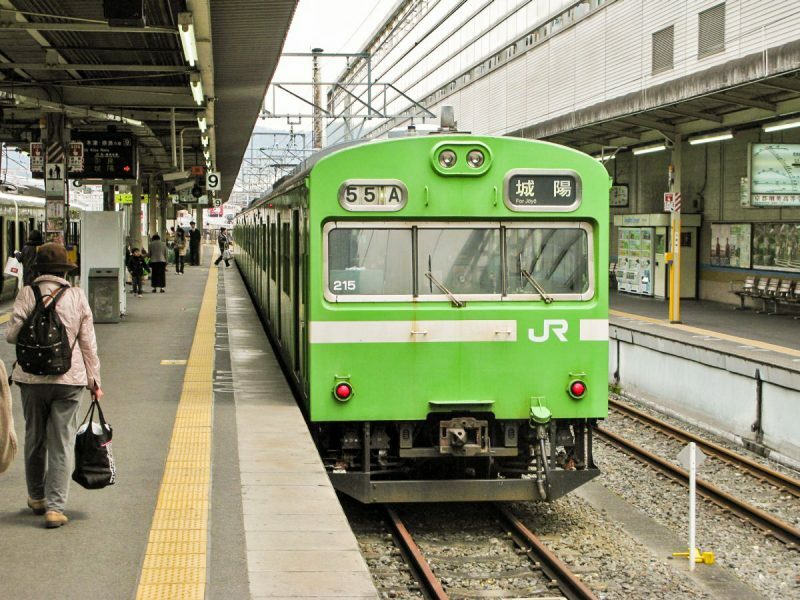 The rapid trains run twice per hour, and the 45-minute trip is covered by your JR Pass. Begin your trip from Osaka to Nara at the JR Osaka Station. Take the Yamatoji Rapid Train to JR Nara Station. These trains run once per hour; the trip lasts around 45 minutes and is covered by the JR Pass. Most of Nara’s primary attractions are within walking distance of each other and the train stations. Extensive bus lines are available as well. Day passes may be purchased to cover bus fairs, and most major IC cards are accepted. Nara’s landscape is dappled with historic buildings and landmarks. 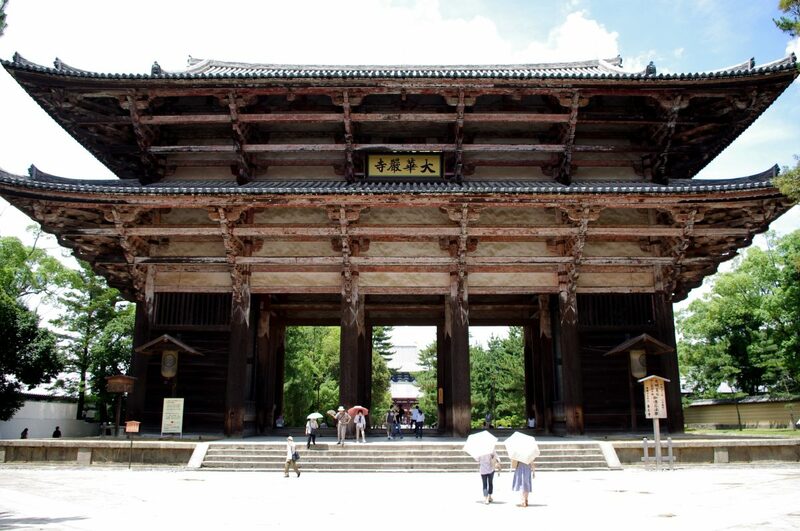 Todai-ji, meaning “Great Eastern Temple,” is the largest of Nara’s numerous temple structures. 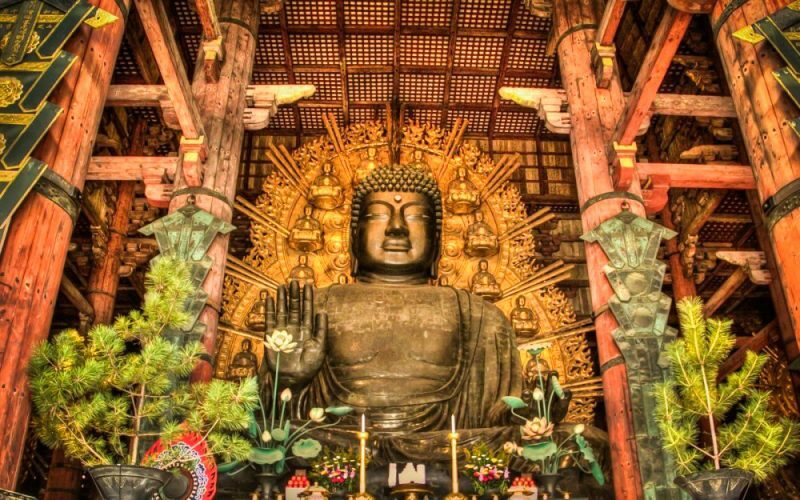 In fact, the Daibutsuden, or Big Buddha Hall, is the largest wooden building currently in existence, and home to a huge, bronze Great Buddha statue 15 meters in height. Built in 752 C.E., Todai-ji was among the reasons that Japan’s capital was moved from Nara to Nagaoka in 784 – the government leaders of that time feared that the temple had gained too much influence in their politics. Next to the temple is Nara Park, or Nara Koen, where over 1,000 deer roam freely for park guests to enjoy. It is not uncommon to see the deer just outside the gates of the temple. The animals often approach visitors, hoping to be treated with special crackers called shika senbei. These treats for the dear are sold in the park for around ¥150. Some deer have even learned to “bow” in order to beg for crackers. During specific times of the year, Nara has additional interests to pursue. For example, on the fourth Saturday of each January, fires are lit on nearby Mount Wakakusayama in a festival known as Wakakusa Yamayaki. While this burning of the mountain involves local temples and has taken place for hundreds of years, its exact origins are unknown. It is thought that it may have begun in boundary conflicts between the temples or as a way to drive away dangerous wild boars. Fireworks and days of festivities accompany the bonfire. In late March and early April, the sakura cherry trees blossom profusely throughout Japan. One of the most famous cherry blossom viewing locations is Mount Yoshino, also known as Yoshinoyama. The first cherry trees seem to have been planted on the mountain over 1,300 years ago. Today, more than 30,000 cherry trees reside there, providing a breathtaking spring display. To reach Mount Yoshino from JR Nara Station, travel 45 to 60 minutes to Yoshino-guchi Station using the JR Pass. No matter the time of year, there is plenty to do in the intriguing ancient city of Nara. You will not regret adding this excursion through the Kansai region to your next itinerary. limited of time. Thank you! In this article you are commenting you have a highlight on what we recommend to see in Nara. Please make sure to go through it not to miss any detail!